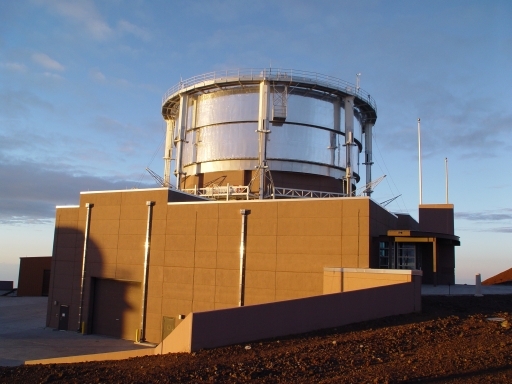 The Lyot Project coronagraph and infrared camera will be installed on the US Air Force AEOS (Advanced Electro Optical System) telescope, situated at the Air Force Maui Optical Station (AMOS) on the dormant volcano Haleakala in Maui. AEOS is the highest-order adaptive optics system in the world (ie. 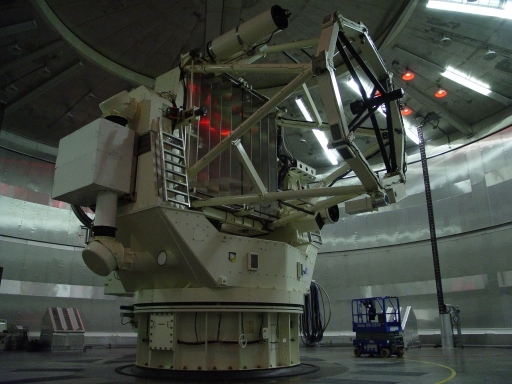 it has the largest number of correcting elements, or actuators), consisting of a 3.63 meter telescope with a 941-actuator deformable mirror that corrects atmospheric distortions to unparalleled precision. The Lyot Project is able to utilize the power of the AEOS telescope due to a collaboration between the National Science Foundation (NSF) and the US Air Force Office of Scientific Research (AFOSR). This collaborative effort makes the AEOS telescope available to US astronomers and upper astmosphere physicists for 75 six-hour observing nights per year, providing civilian researchers with the opportunity to benefit from the highly advanced adaptive optics system.